Editor’s Note: Mossy Oak Pro Lance Howard lives in Theodore, Alabama, just south of Mobile, in one of the southernmost sections of Alabama. During the Great Depression of the 1930s, when deer and turkey were nearly wiped out across Alabama, large landowners in south Alabama protected the deer and turkeys on their lands. Today these many south Alabama deer have resulted in overpopulation of the deer herd there. Howard has lived on his family’s 3,500 acre peanut and cotton farm all his life and has developed strategies for taking deer there. In mid-December, I lay down my bow and pick up my Browning A-Bolt.30-06. I'm not for or against bowhunting or rifle hunting - I do both. Because of our long archery seasonthat starts in mid-October and continues until February 10th, I have plenty of time to bowhunt and rifle hunt. I’ll start hunting the 100-acre agricultural fields planted in winter wheat and oats during the afternoons from mid-December until mid-February. Our rut arrives generally within a day or two of Martin Luther King Day in January. I’ll usually sit then in the corner of one of those 100-acre fields in a box blind with my .30-06. I feel confident in taking a deer out to 300 yards. In the mornings, I may bowhunt over my food plots that have Green Patch Plus and Maximum in them. In the afternoons, I’ll hunt those 100-acre fields planted with wheat and oats with my .30-06. 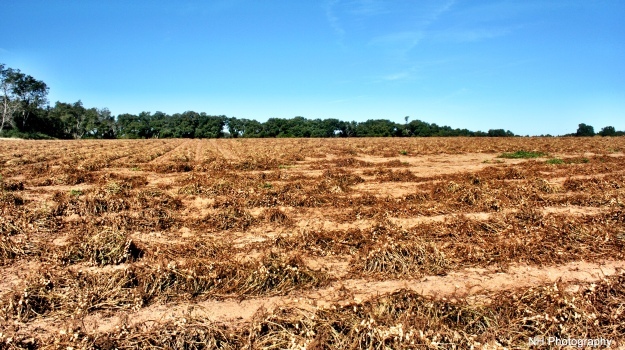 December is the month that we start harvesting does on those large-cover crop fields. 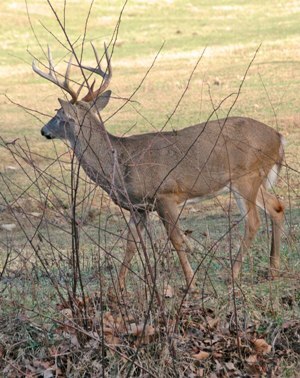 During hunting season, December is the slowest month for seeing a buck. We feel like December is the calm before the storm. This month is just before the pre-rut begins, and there’s no reason for bucks to move during daylight hours before the rut. 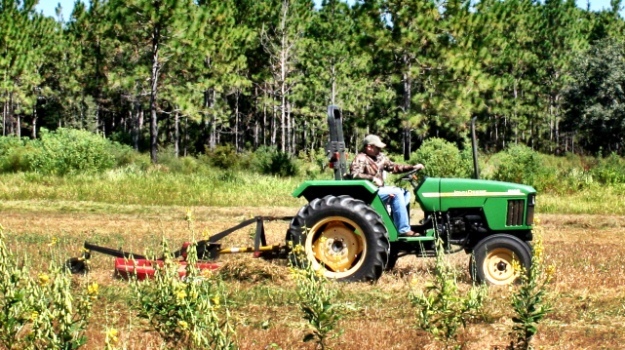 They can feed in the cover crop fields at night, and they can feed in the food plots at night. Because we have a tremendous amount of hunting pressure, the bucks on our farm become nocturnal. However, because we haven’t harvested does off our big fields all season long, the does will come to those big fields just before dark. So, we choose to take does during December when the bucks are nocturnal. Because we’re taking does in December on the cover crop fields, our food plots aren’t getting any hunting pressure and become sanctuaries for both bucks and does - making them prime places to hunt once the rut arrives. 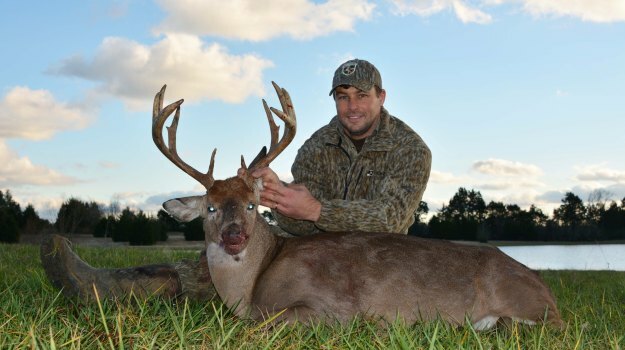 Just a couple of years ago the Wildlife Section of Alabama’s Department of Conservation identified the fact that south Alabama has a late rut. 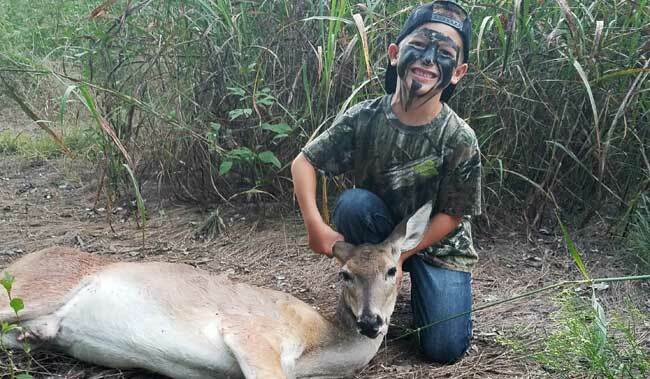 So, instead of ending gun deer season on the last day of January, Alabama allows hunters in South Alabama to hunt 10 days into February. However, to get those extra 10 days during the rut, we had to give up 10 days of gun hunting from December 1 -December 10. During this period, you only can hunt with primitive weapons. You can take either a buck or doe, as long as you don’t exceed three bucks for the entire season. We've seen bucks still rutting on into the middle of February after the season closes. December 1 - December 10 is when I really concentrate on taking does with my bow.In Alabama, we can take one doe per day from the opening day of bow season until the close of deer season on February 10. 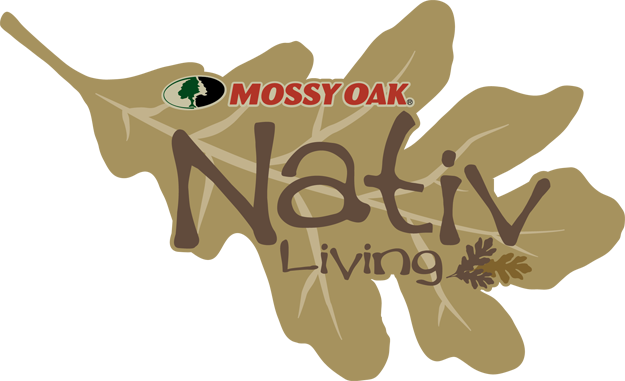 The entire Mossy Oak family is proud to present the all-new Mossy Oak® Nativ Living™ brand. This new brand represents the most comprehensive offering of outdoor lifestyle inspired products ever launched and incorporates an extensive range of designs perfect for any setting. The brand includes an expansive range of products with living room, dining room and bedroom furniture along with accessories that include everything from rugs to lamps and accent pieces. Why would you incur such a cost when you could just walk in the store and buy one for $1.59 a pound? 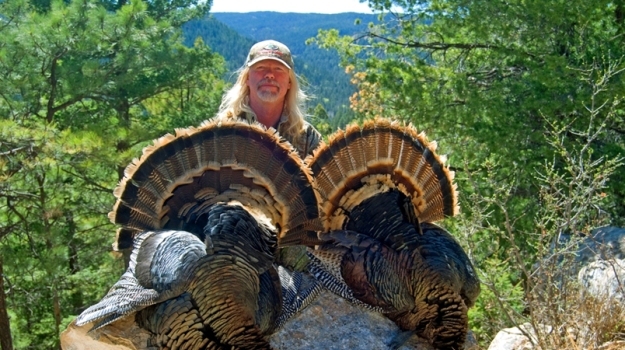 I’m sure in his and others minds we turkey hunters must be crazy and while that may be true, I actually feel my $100 a pound bird is one of the best deals I get each year and it’s easily justified.